Even before hurricanes began ravaging the Caribbean and Texas Gulf Coast this year, travel insurance policies saw an uptick in sales–but travelers should be mindful of what their policies will and won’t cover. In a February report, Berkshire Hathaway Travel Protection (BHTP) predicted travel insurance sales would rise nearly five percent in 2017, totaling $2.2 billion. Last year, sales spiked nearly 13 percent. Consumers purchase travel insurance to protect them from losses if they can't make the trip. But like any insurance policy, travel insurance doesn't always pay every claim. 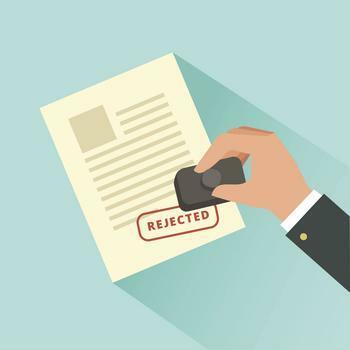 The editors at Squaremouth, a travel insurance comparison site, have identified three common reasons your travel insurance claim may be denied. Most policies are designed to protect travelers if their trip is canceled, cut short, or delayed for a reason that is specifically addressed in the policy. It does not pay if there are inconveniences, or if certain planned activities don’t pan out. Squaremouth says travelers should never assume that their travel insurance policy covers everything, so it's important to carefully review circumstances under which it will pay. If you think the policy does not cover your concerns, Squaremouth says you may be able to cancel your policy for a full or partial refund. In some cases, consumers purchase travel insurance policies without knowing they are ineligible for the coverage they wanted. Consumers cannot be covered by a travel insurance policy that they purchased after issues preventing the trip have surfaced. For instance, if a traveler is already too ill to travel when they purchase the policy, any claim relating to that illness will be routinely denied. Some policies have options to cover pre-existing conditions, which would pay if that condition worsens and prevents the traveler from making the trip. However, the traveler must purchase that insurance well in advance of the trip and be medically cleared to travel at the time of purchase. A third common reason for a travel insurance claim to be denied is a simple lack of documentation. It’s critical to prove in documentation that you incurred the expenses you are claiming. Receipts are the best option and are required to authenticate a claim, especially in cases of cancellation, delay, or medical emergency. "We ask for receipts to prove the traveler made the payments they say they made, and to verify what happened," said Squaremouth Claims Director Brandi Morse. Morse says keeping original receipts will make the claims process go faster and more smoothly, improving a traveler's chances of claim approval. So when traveling, ask for a receipt for every expense and keep the documents where they can be easily accessed.